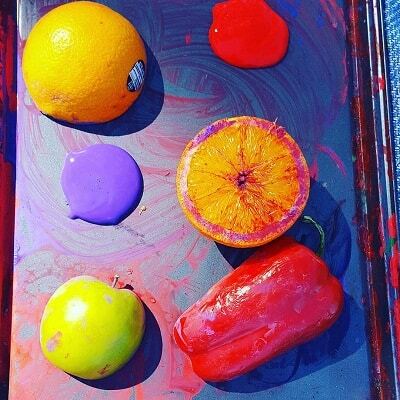 Do you remember painting with fruit and vegetables when you were little? I vividly remember doing this at school and it’s one of those activities that is just as fun with kids today. 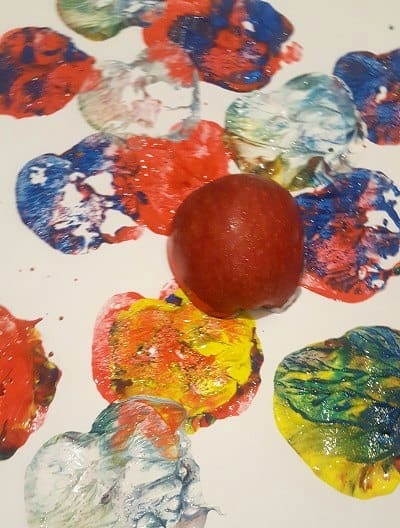 After the great success of yesterday’s painting challenge, for day 2 of the 10 Day Toddler Painting challenge we will be getting out the fruit and veggies! If you would like to join our challenge you can sign up HERE. 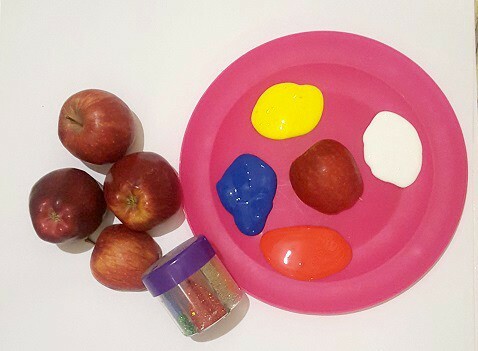 I really like doing this activity with the toddler age group as the larger fruit and vegetables are easier for them to pick up and grasp. The kids always love making stamps out of the fruit and are always amazed with the different patterns that they make. You can find my recommended list of painting supplies HERE. Paint (any colors – try to include colors that mix well for this activity. I like to use red, yellow, blue and white but any colors are fine). I always recommend this type of paint. Paper plate or something to put the paint on. You will need a larger area to keep the paint on in order to allow the fruit and vegetables to get fully covered. Paper – I like to use butcher’s paper of easel pads for this one but smaller sheets of paper will be fine too. You’ll see that there’s glitter in my picture … I’d save that for another time unless you’re prepared for even more mess! 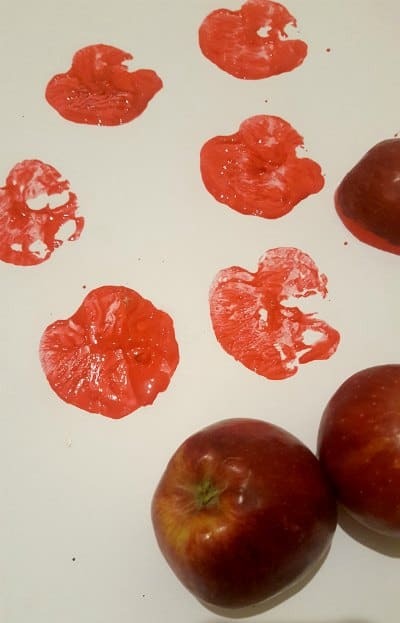 I took this photo when we were doing glitter apple stamping. There’s no right or wrong way to do this, but here’s how I like to set up the activity. 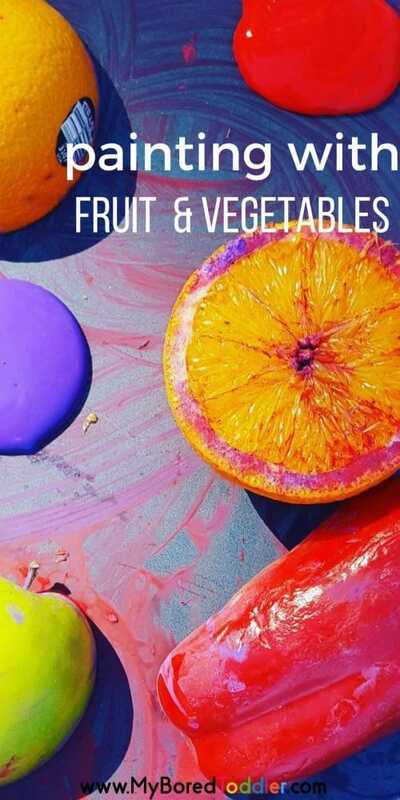 Start with one fruit at a time, and one color. Talk about the fruit you are using. Ask them (if they are old enough) what they think will happen when they put it on the paper. What shape does it make? What does it look like? How many can we fit on one page? Even if you’re answering your own questions, it still great to discuss what you are doing. Add in more colors and explore how the colors mix. Add in your other fruit or vegetables. 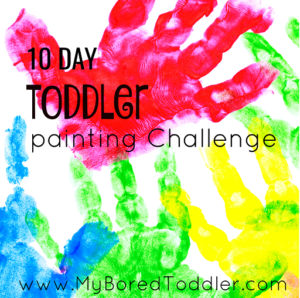 What I love about this activity is that every painting is different! 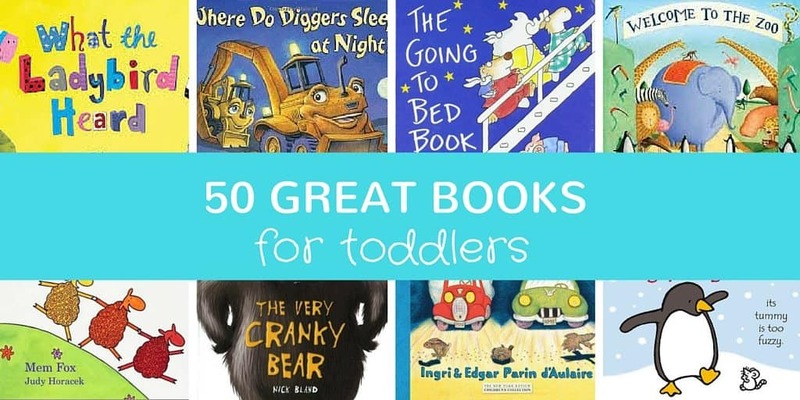 Don’t forget to share your photos in our Facebook Group and over on Instagram – use the hashtag #MyBoredToddler so you can see what everyone else is doing too! I’ll be sharing my favorites over the course of the challenge! If you’re taking part in our 10 Day Painting Challenge (sign up HERE) , for tomorrows activity we’re going to be making butterfly paintings! My daughter’s LOVE this activity and have ever since they were very little. 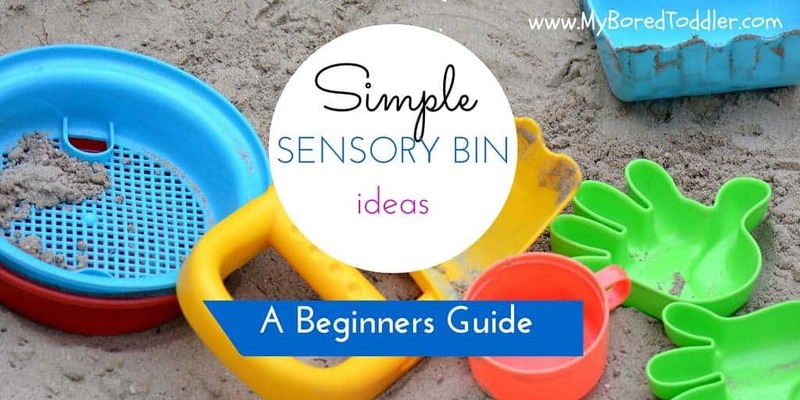 For this activity you will just need your paint and printer sized paper. If you can’t wait until tomorrow you can jump ahead to our next painting activity here.